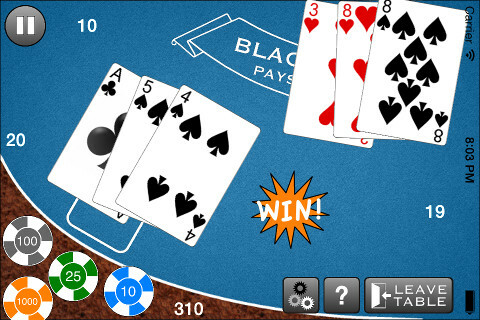 Play Blackjack right on your iPhone! 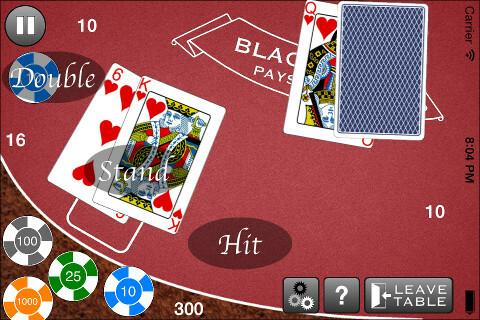 The game also known as 21 can now be experienced on your iPhone, iPad or iPod Touch. This is the right app for you to learn the basics and get your strategy right before your next trip to Vegas or Monaco. Everything from the rules, to the betting structure and excitement is true-to-life in this game. 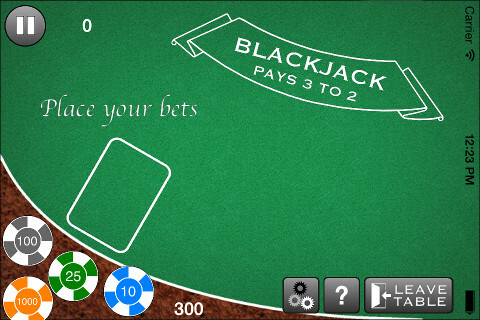 All normal Blackjack actions such as being able to split or double down are included. Get the thrill of winning money in an almost real-life scenario. 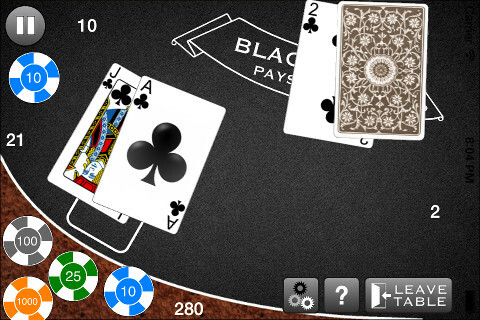 In this game of Blackjack the dealer stays on 17 and Blackjack pays 3 to 2. ● Authentic casino Blackjack gambling experience. ● High quality graphics with large cards and buttons. 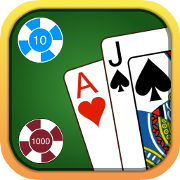 ● Play by genuine casino Blackjack rules. ● Tap to split your cards. ● Insurance pays 2:1 if the dealer has blackjack. ● Great graphics and animations with a clean and friendly user interface. ● Choose between different table themes. ● The game works on all iOS devices. 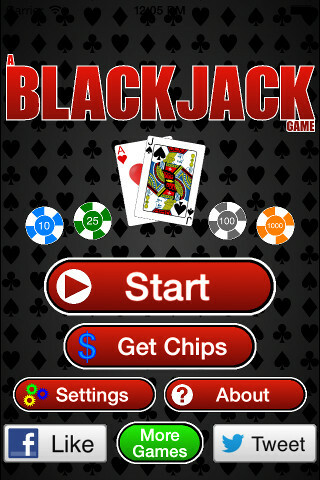 Download this Blackjack game today! It's free!